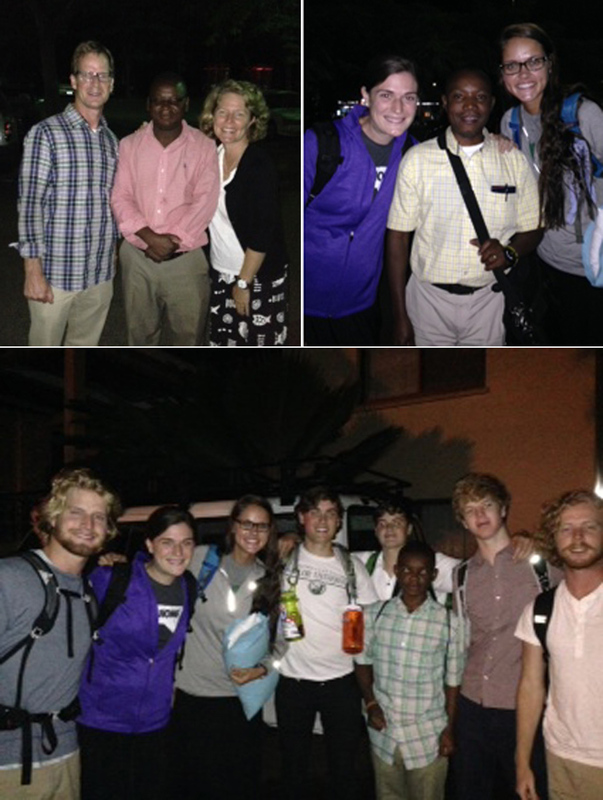 Home » 2014 Trip to Toloha » Arrival in Tanzania! We landed after a smooth trip – 27 hours so far. Little sleep but BIG smiles! Leyton met us at airport with 4 vehicles and a few familiar faces from last year. We loaded ALL bags (no missing bags!) and split up to head to the hotel about a 30 minute drive from the airport in Kilimanjaro. It is pretty quiet out because it is 3 or so in the morning here! We are tired from two LONG (but smooth) flights. Seating on flights was perfect. Actually our whole group truly is “perfectly” designed by God. Tonight, we are in a very adequate hotel. We will shop tomorrow for supplies (AND BIBLES!) and stay one more night in Moshi before heading to Toloha on Wednesday. Thanks for prayers. No doubt, God is doing this. Thank you for letting us be here and for praying continually for His will each day. We praise Him. O sifuni mungu!